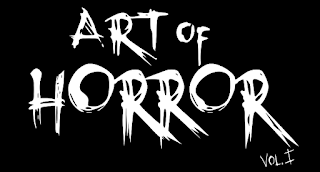 One of the main things we heard at this year's Festival of Fear was along the lines of "Ottawa Horror? I'm from Ottawa, and I didn't know there was a horror scene in Ottawa.". Well the good people at the Ottawa Goth Syndicate (OGS) know exactly that same feeling and they decided to do something about it. Inspired by the Edgar Allan Poe short "Masque of the Red Death", Red Death Masquerade is a modern take on the traditional Masquerade Ball (Masks are NOT optional... No mask, no entry!). Featuring Toronto's DJ Th'Elf as well as locals DJ Reverie and DJ [L]otus playing a mix of Retro '80s, EBM and Synthpop as well as author Liisa Ladouceur (Encyclopedia Gothica) and loads of prizes including a $100 prize for the most enticing costume. Tickets available in advance for $10 or $15 at the door (price includes entry for the Aftermath as well). This is a 19+ event. Organized by the Ottawa Goth Syndicate, this will be Ottawa's first kind of "Gothic" weekend. While Ottawa has had the presence of a scene since the Goth movement began, never before have its numbers been so strong or the desire for more been present. Currently we have three nights a week available for bar/club-hopping: Tuesdays (Industrial Strength) at Zaphods, Thursdays (Happy Music for Sad People) at Swizzles, and Saturdays (Death Disco) at Swizzles. Unfortunately, beyond these nights and a shop called Trivium, our scene is left dreaming of far-away cities and how strong their communities are. The OGS is trying to change this, through creating this event and showcasing different aspects of the Gothic Subculture. Fashion, Music, Literature, Art, History and so much more will be showcased at this event. Admission is $2 or free with Red Death Masquerade ticket stub. This is an All Ages event. Yes... Rue Morgue fans, you read that right. The lovely Liisa Ladouceur, of RM's own "Blood Spattered Guide" will be on hand, to sign and sell her Encyclopedia Gothica. Check out the full details at the OGS site here. If that wasn't enough reason to go... OH will be on hand at The Aftermath! We'll have all sorts of goodies there, so do stop by the table and say hi. I mean, it's $2 even if you don't go to the Masquerade the night before! Even if you don't consider yourself part of the Goth scene, there will be lots for the horror fan at this one.